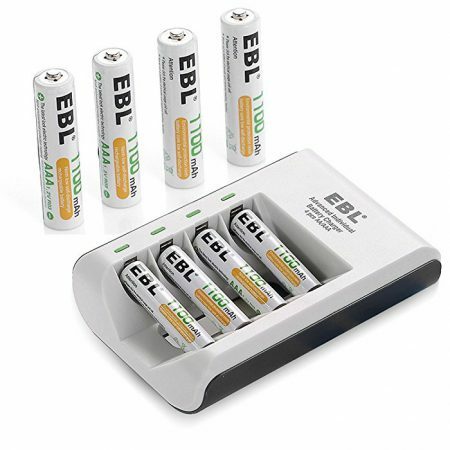 This EBL battery tester is widely compatible with AA AAA NI-MH/ Li-ion / NI-MH 9V/ LI 9V/ alkaline batteries. 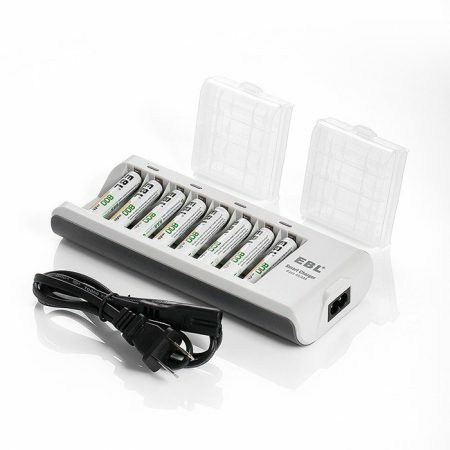 The battery checker has a clear LED screen to show you the health condition of your batteries. 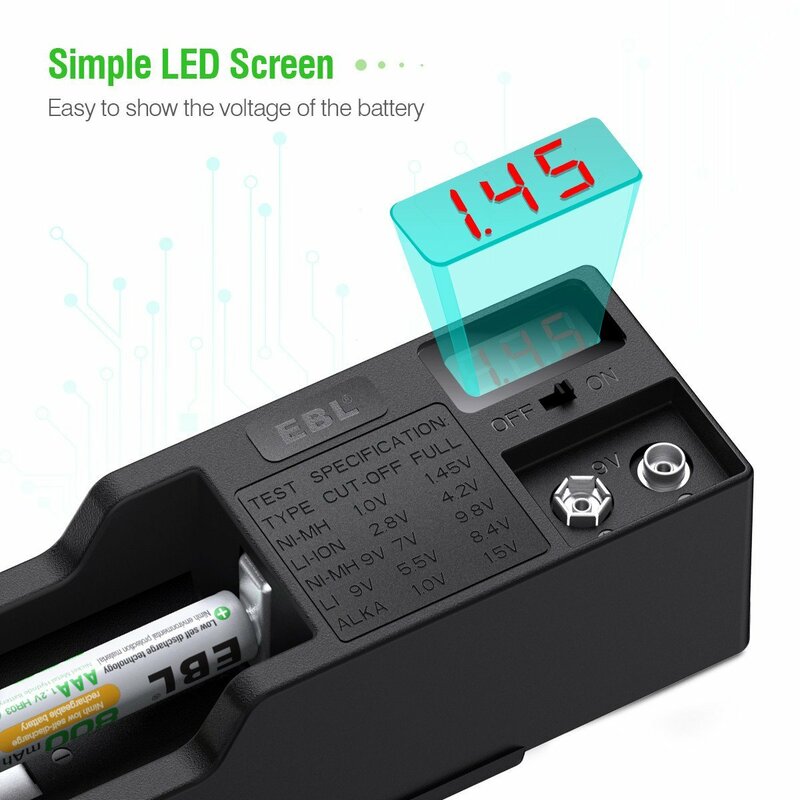 The LED screen is easy to read and shows accurate voltage value for your battery. 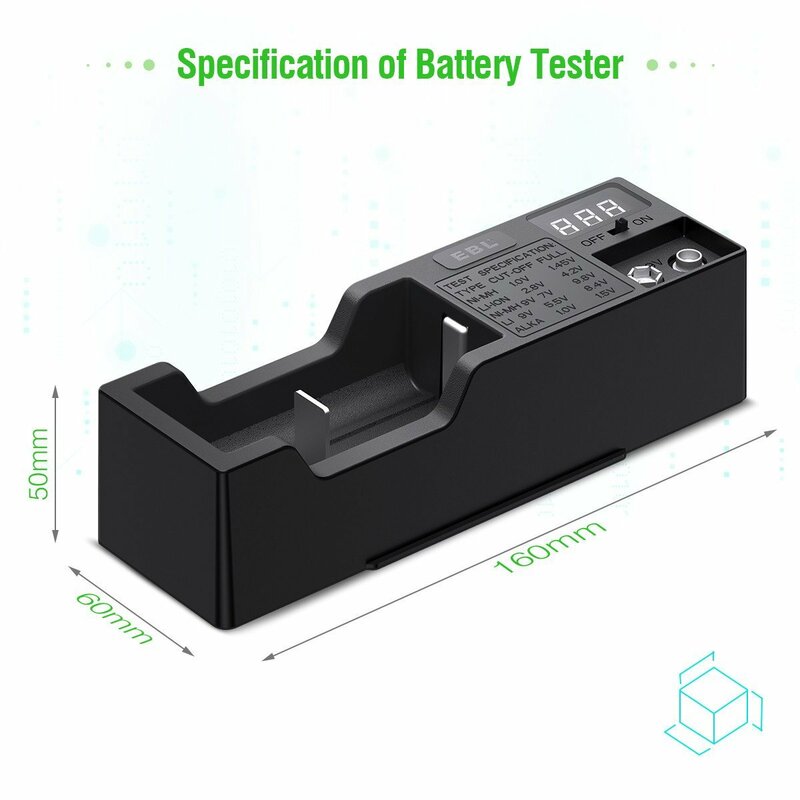 With this battery tester, you are able to tell whether your battery is good or not. 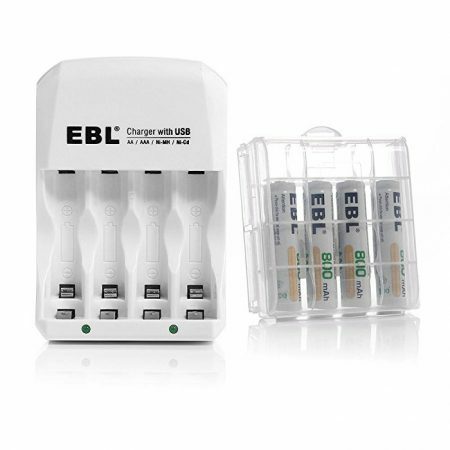 You will save more in the long run. 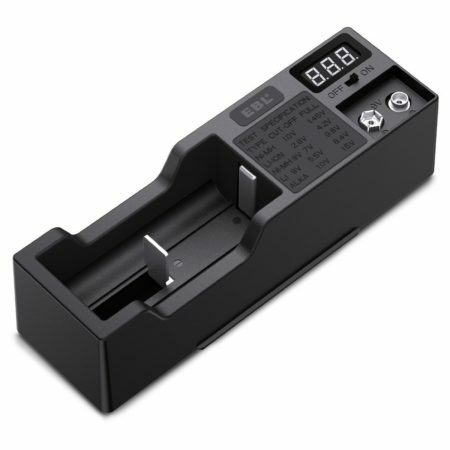 This battery tester is very user-friendly. 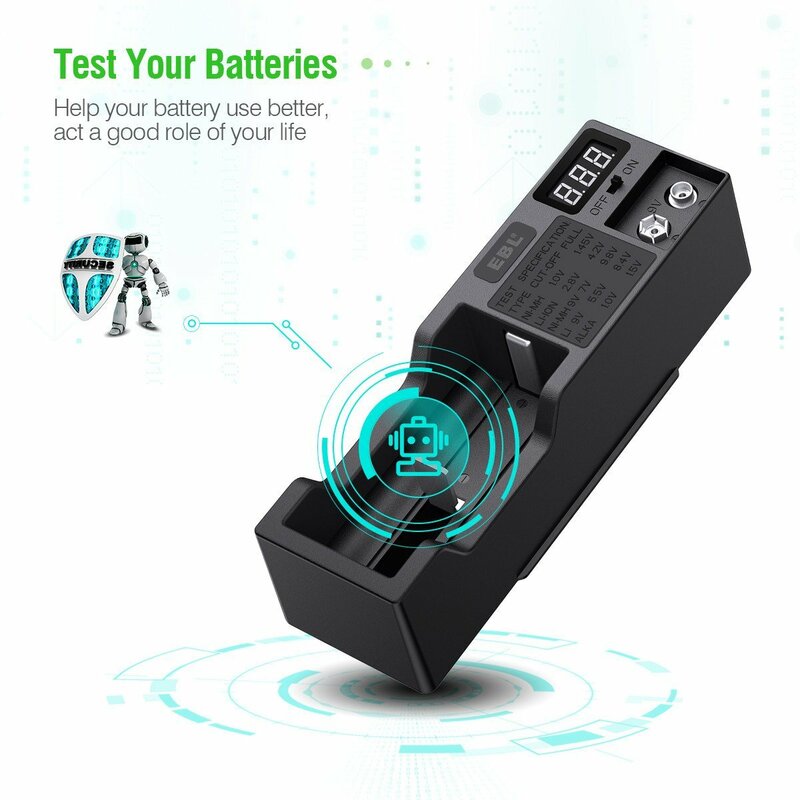 All that you need to do is to place the battery into the tester, turn it on and read the checking result. 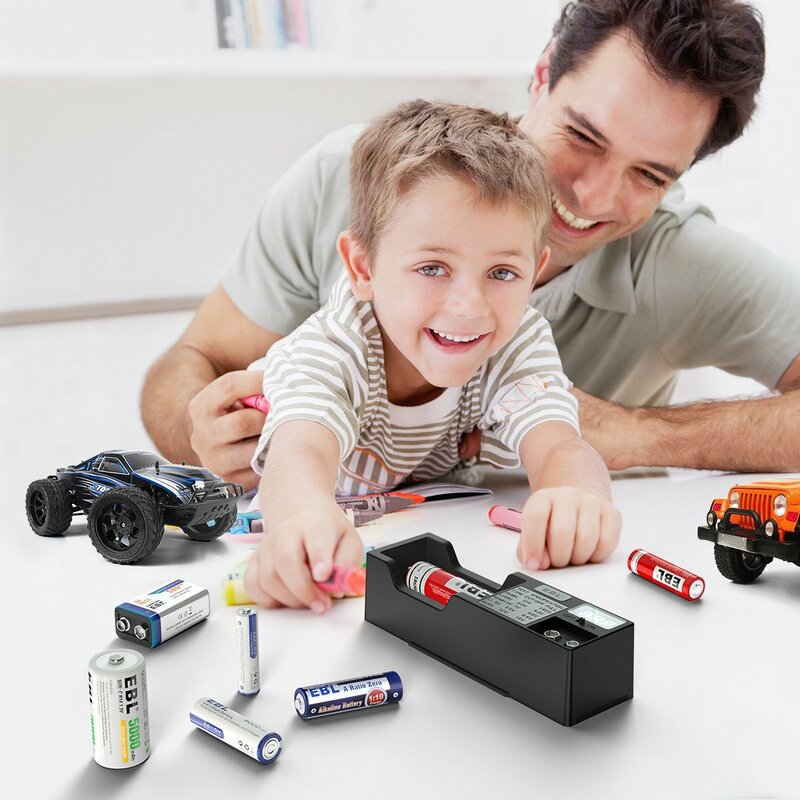 The unviseral battery check has wide voltage range from 0 to 100 volts. 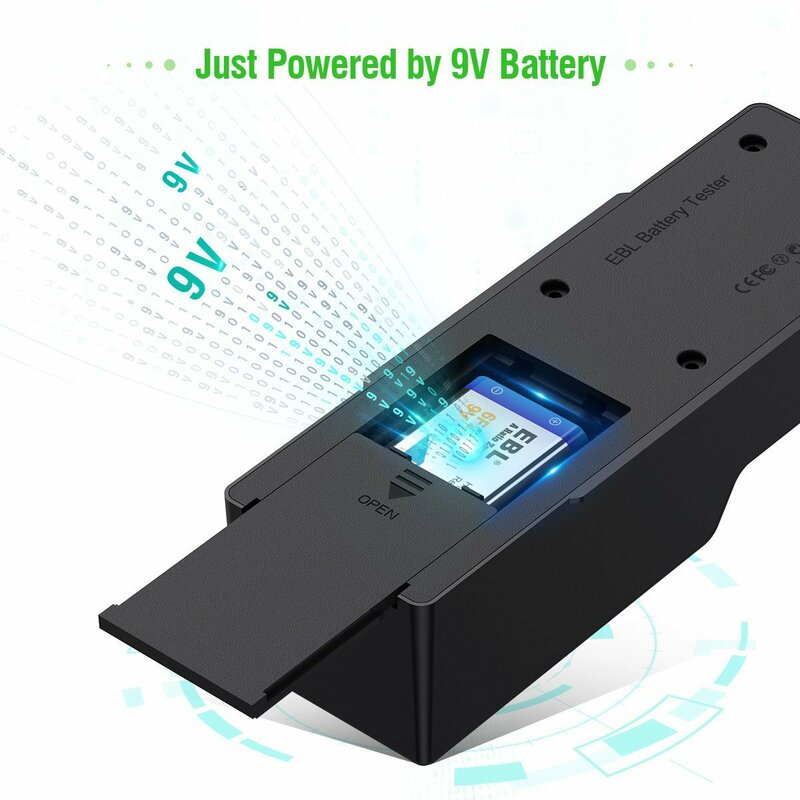 It’s powered by one piece of 9V battery. 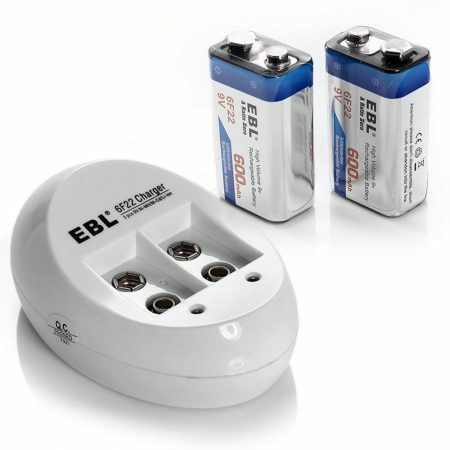 This EBL battery tester is made to be compact, small and portable with a size: 160mm*60mm*50mm. 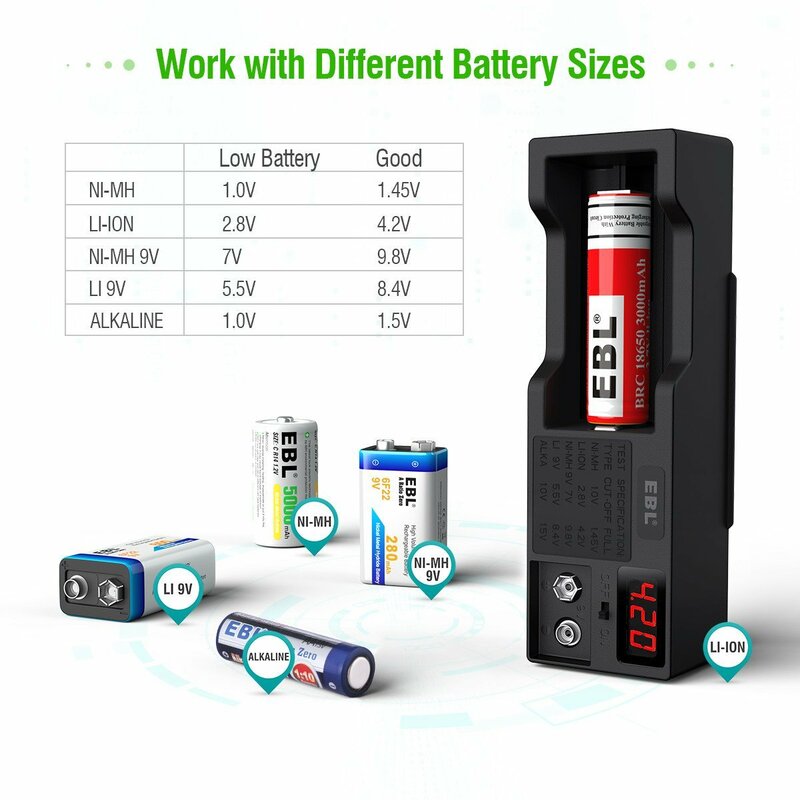 And it weighes in at only 118.6 g. Such a portable size is easy to carry around, you can simply put it in your handbag or just pocket. 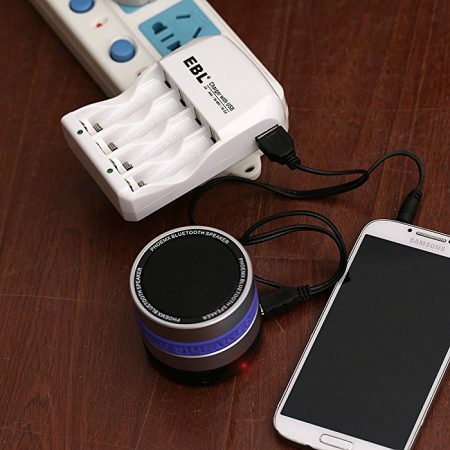 Thanks to this portable design, you can use this battery tester most conveniently for various batteries.